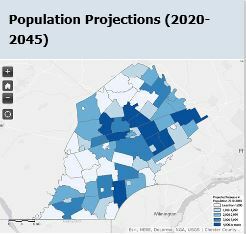 The Delaware Valley Regional Planning Commission recently released population projections for 2020-2045. The new 2045 projections for Chester County and its 73 municipalities are now available. View details.